"Nowhere in Time" doesn't drop until sometime in November, but I felt compelled to let you in on it now so you can clear your calendar. 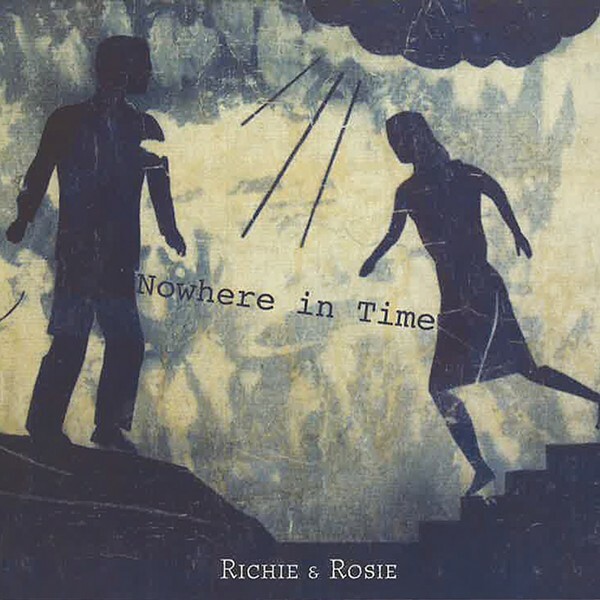 What I particularly dig abut Richie & Rosie's new CD is the room; you can hear the walls as they take whatever strummed, plucked, or bowed notes the duo dishes out and bandies them about. For the most part, the attack on "Nowhere in Time" is dynamically exuberant. It isn't until the third cut, "No Longer Lonely" that they — Richie Stearns and Rosie Newton — settle into some mellow down incantation. The harmonies on "Honey Bee" offer a shared lump-in-the-throat resolve. Their sadness is your sadness especially when the cello kicks in all lovely and vibrating just below the surface. The following tracks offer balance between melancholy and fire. This is beautiful old time music, stripped down.